Are you a Bad Fish? 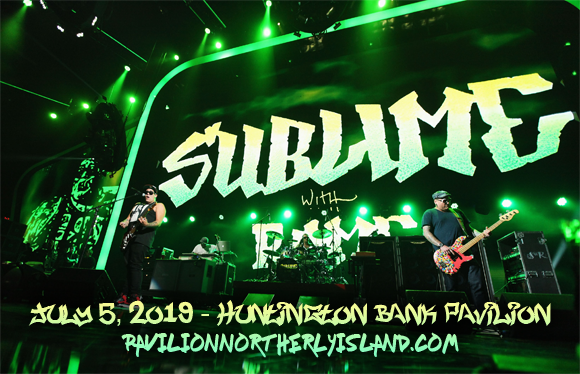 Then you'll want to get yourself tickets to see Sublime with Rome, coming to Huntington Bank Pavilion at Northerly Island on Friday 5th July 2019! Bringing new tracks from their upcoming third album to the stage, plus Sublime classics, the Cali pop-punks will get everybody in the groove! They'll be joined in support by Soja! Formed in 2009 by former Sublime members Eric Wilson and Bud Gaugh, and singer and guitarist Rome Ramirez, Sublime with Rome is an American ska punk band. The group was formed with the intention of continuing the legacy of Sublime, after the passing of frontman Bradley Nowell in 1996. Making its debut at Hill's Smoke Out Festival in San Bernardino, California, the following year the band set out on a nationwide tour, performing the songs of Sublime and several original tracks they had written together. The band released its debut album, Yours Truly, in 2011 on renowned alternative label Fueled By Ramen. Drummer Bud Gaugh left the band in December 2011 and Josh Freese of The Vandals filled in, before being replaced by former Tribal Seeds drummer Carlos Verdugo in 2017. The band released its second album, Sirens, in 2015 and a third studio album, Blessings, will be released later this year.